Timber is an important raw material, which has the benefit of sequestering carbon (CO2). The joint project sets the foundation for a sustainable supply of markets with high-quality forest reproductive material (FRM). FRM needs to show a sufficient genetic diversity, in order to be productive in stable and adaptable stands, even under novel conditions due to a changing climate. Apart from increased productivity (carbon sequestration) the project also aims to enhance wood-quality. This is a precondition for a multi utilisation of timber, which means that the material is used once or several times before it is used for energy generation. This aim can be achieved by joint, inter-institutional analyses of data from long-term trials. Valuable information for the revision of provenance recommendations and for the establishment of breeding zones can be obtained from such analyses. Furthermore the selection of trees with outstanding properties (so called plus-trees) and their subsequent reproduction for the establishment of seed plantations can be based on such information. Synergies and the remaining capacities in the field of forest tree breeding will be used efficiently due to the intensive networking of the partners in the joint project. The intensity of breeding efforts will vary among the target tree species Norway spruce, Scots pine, European/ Japanese larch, Douglas fir, sessile/ pedunculate oak and sycamore maple. Possible trials could range from stand progeny trials (e.g. with oak) to controlled cross-breeding (e.g. with larch). After 15 years of breeding effort, the average gain in wood volume is expected to be around 10 to 30% (Liesebach et al. 2013). Seed and plant material is essential for timber production. The project started in 2017 and aims to develop basic principles and strategies to provide high-quality and adaptable forest reproductive material (FRM) as interesting economic and ecological alternatives to conventional FRM under conditions of a changing climate. This includes both a broad genetic diversity for adequate response to changing climatic conditions, as well as specific hereditary factors which guarantee above-average growth, high wood-quality and also tolerance to extreme weather events. The aim is productive growth in stable and adaptable forest stands. Enhancement of growth contributes to an increasing potential of carbon sequestration, while improvement of timber quality is a prerequisite for cascade utilization (of timber) before energetic use. This joint research project is based on plus-trees already selected and propagated in the project “FitForClim”. For preservation of plus-trees in long-term clone archives as a basis for later development of high-quality seed orchards. 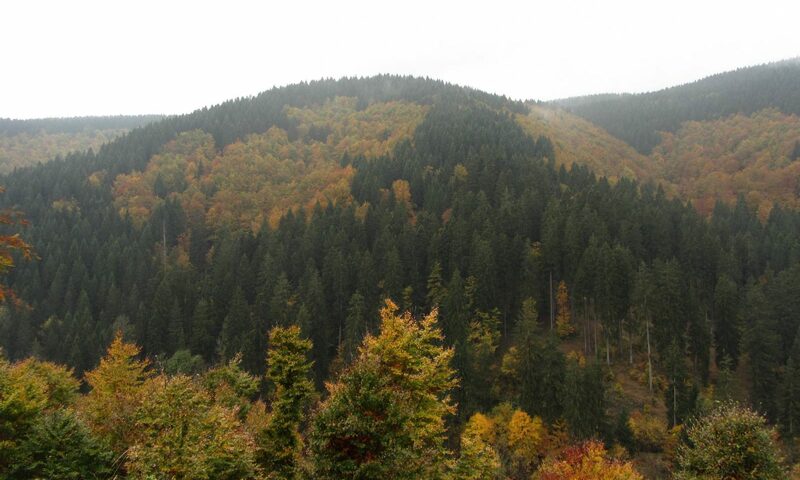 4200 plus trees of Douglas fir (800), spruce (600), pine (550), larch (450) oak (900) and maple (900) are supplied for future forest tree breeding activities in Germany.